EP Looms! Soon! | Duskwoood | New Album Desert Queen Out Now! Early January saw us make the trip up North to SkyHammer studios, where we had four days of recording and production with the amazing Chris Fielding of Conan. Chris really kicked our asses into shape and absolutely nailed the mix. We're super happy with the tracks and cannot wait for you to hear them! Chris is a bit of a celebrity within the scene (I guess you could say! ), and he has a wealth of knowledge we were able to use and a crazy amount of high-end gear (greens, sunns, matamps, marshalls, and that's just from a guitarists point of view!) to dial in our perfect sound! James Plotkin in the US got his hands on mastering the tracks. 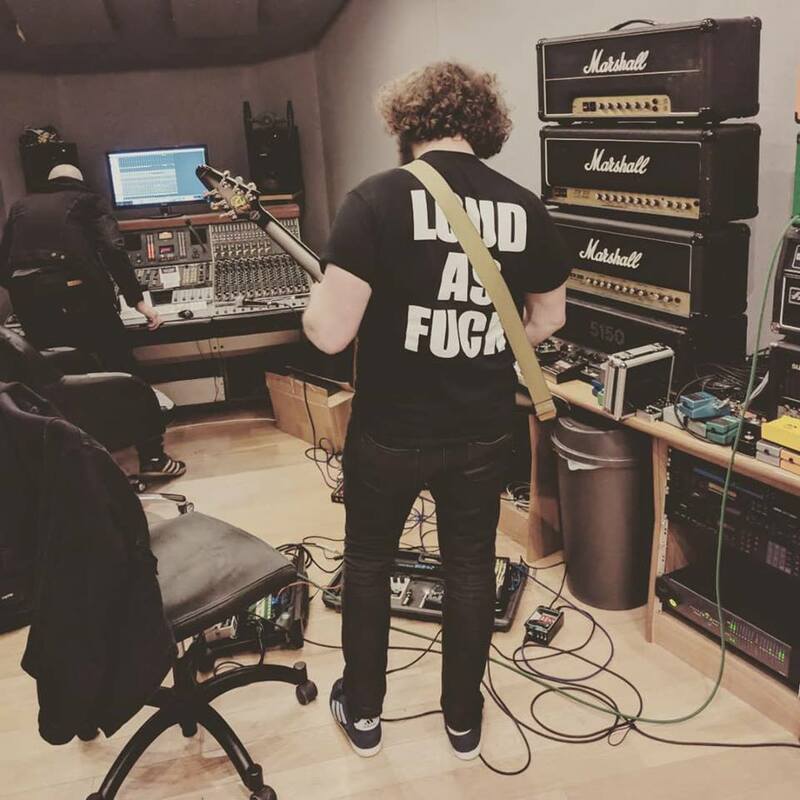 James has worked with many big name bands such as Electric Wizard, Bongripper and Sunn and has done an incredible job for us. Artwork remains the final piece of the puzzle, but stay tuned for more news over the next couple of weeks!